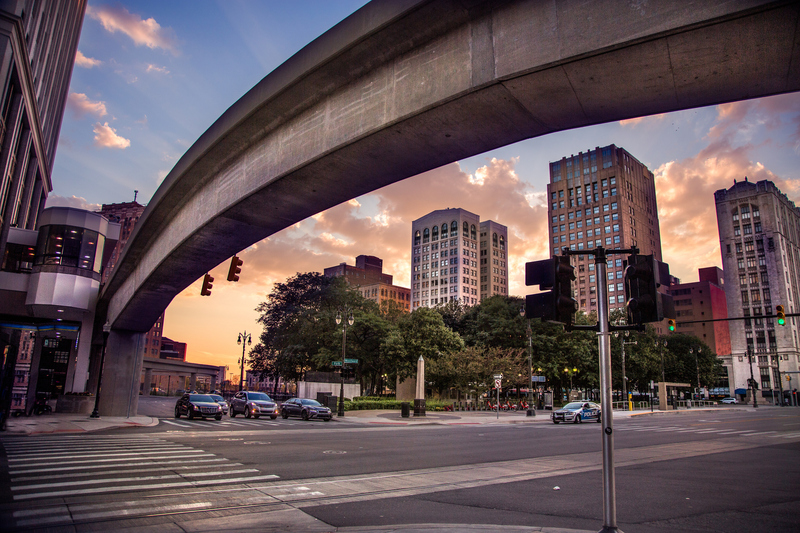 Representatives from the City of Detroit, the state of Michigan, and the business and nonprofit sectors are working to better understand and mitigate the mobility challenges Detroit residents have through a partnership called the Detroit Mobility Innovation Initiative. The partnership was created to help inform long-term transportation solutions for residents and workers in the city while also supporting a startup ecosystem and providing corporate partners an opportunity to explore innovative technologies and services. After more than 100 hours of interviews with Detroit residents, four key areas of need were identified: neighborhood mobility, or public transit for residents; downtown accessibility; traffic safety; and electric vehicle use and education. Six solution concepts have been identified from a pool of 120 for possible deployment and testing in the city. The concepts address several areas of need. One concept is a new transportation solution that will route shuttles and buses based on ride demand. Another is a low-cost car sharing program. Others include a platform that helps Detroiters find parking at lower prices while offering perks to foster economic development and reduce congestion, a public space in the city that offers information about electric vehicles, a traffic management system using connected technology to provide priority to transit vehicles at signalized intersections, and a central intelligence hub that sources data from infrastructure, vehicle, and mobile device sources to enable the development of concepts that require access to big data to address safety and operational issues in the street network. Partners in the Initiative include the City of Detroit, PlanetM/Michigan Economic Development Corp., General Motors Co., Lear Corp., DTE Energy, Bedrock Detroit, Quicken Loans Community Investment Fund, New Economy Initiative, The Boston Consulting Group (BCG), and BCG Digital Ventures. BCG led a 12-week session with representatives from each of the partners to uncover mobility challenges, identify solution concepts, and develop business models for the concepts under consideration for deployment. The initiative is in the planning stages, and deployment of the first pilot is expected within the next six months.